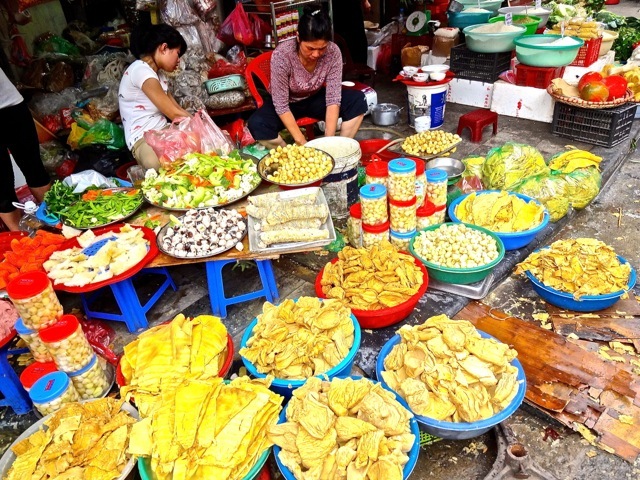 Just before the Tet holiday, the markets were crammed with everything you can imagine. 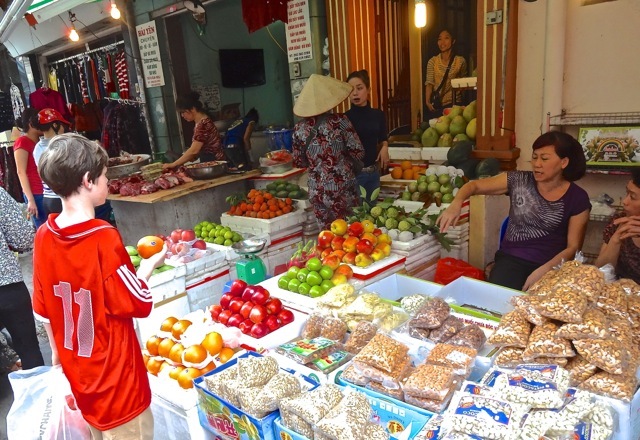 Alex and I both marveled at the street markets in Old Hanoi. We discovered the street names reflected what you would find to buy there. As a result, when Alex lamented again about his Chinese sneakers literally falling apart around him, I knew right where to head: Shoe street. There we found a pair of Vietnam-made Nike running shoes. In addition to the flowers, fruits and vegetables, the most interesting as well as disturbing remains the streets where animals are sold and turn into food right before your eyes. Other posts tackle this subject in earlier posts.